There's a major problem almost every real estate investor has to deal with in their business. It's the problem of getting financing for your deals. Having access to funding is a huge issue that affects just about everyone in the real estate industry. If you've been active as real estate investor for any length of time, you've probably dealt with it too. A few months ago, I discovered a new way to get “interest free” short-term financing through a company called Fund and Grow. 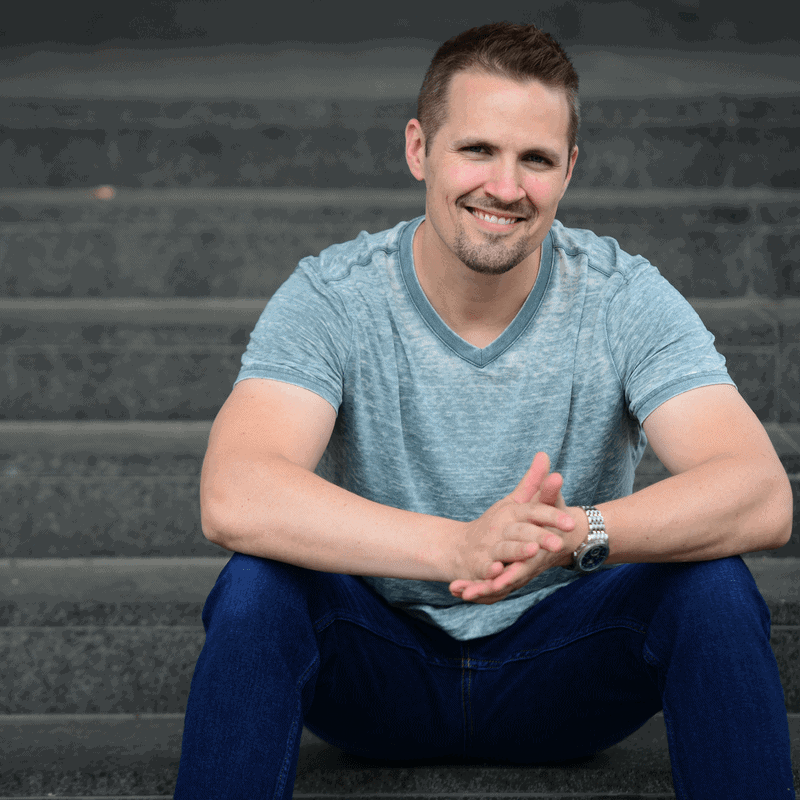 In episode 35 of the REtipster Podcast, Seth and I interviewed Mike Banks, COO of the company, and we learned a lot about how they're able to help all kinds of people (including real estate investors) get access to working capital. In this interview, we talked about how this kind of short-term financing works, and everything this company does to make it happen. 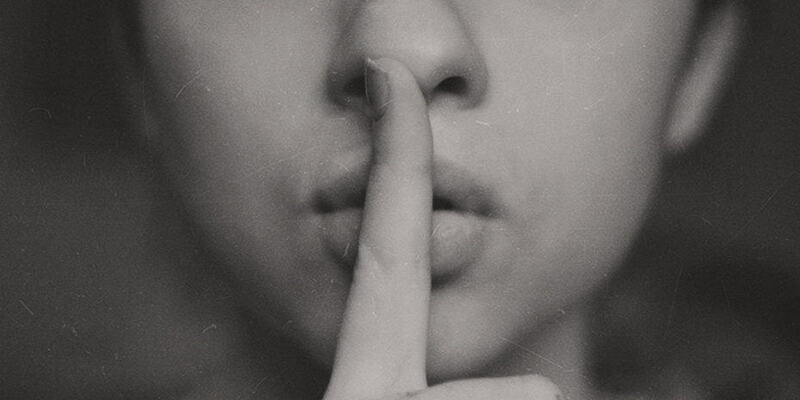 Now, what I'm about to share with you in this blog post isn't just hearsay. I actually applied with Fund & Grow recently and got approved for a lot of money. It really worked! So, let's get into the specifics. Before we dive into my personal experience with them, I'll give you a quick overview of what Fund & Grow actually “does”. To put it simply, Fund & Grow is a company that applies to several different 0% interest credit cards on your behalf, and they do this through a power of attorney, signed by you. Once you're approved for one or more of these credit cards, they coach you on how to use the money available and put it to work. Fund & Grow has a team of trained staff that negotiates with various banks to increase the credit limits as much as possible and they conduct a total of four rounds of applications on your behalf per year. To enlist their services, you pay them an annual fee of $3,997 (note: if you go through our affiliate link, you'll get a $500 discount that brings it down to $3,497). This annual fee will include all four rounds of applications, so if you continue working with them repeatedly, you’ll have to pay them again for each additional year you work with them. Fund & Grow will typically apply for business credit cards (not personal credit cards). This means the balances shouldn't show up on or affect your personal credit report – which can be a significant benefit (there is a slight caveat to this, but I’ll dive into that under the “What They Don’t Tell You” section). In my case, their goal was to get me and my wife $100,000 each in 0% interest credit limits within the first year (again, I know this sounds too good to be true, but that’s why I tested the waters first before posting about them here). With a few caveats, we can essentially use this money for whatever we want. As a real estate investor, my intent was to use this money to buy real estate – but many of their customers (e.g. – doctors, lawyers, small business owners) use it for things like purchasing inventory, paying for initial marketing costs, and a lot more. Unlike a mortgage or auto loan… the lender isn't standing over your shoulder and dictating what you can and can't spend it on. There is a TON of flexibility with this type of financing. I know there are strong opinions on both sides about whether it's “good” or “bad” to employ debt for business. So, before we get any further in this review, I (Seth) wanted to briefly hijack this blog post and share some personal thoughts about if and when it's smart to use this kind of business financing. Using credit cards to finance short-term expenses is kind of like putting a business on steroids. 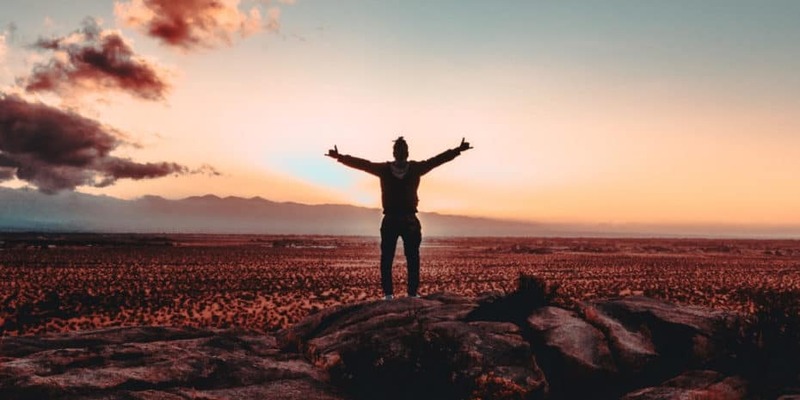 When an entrepreneur knows how to run a profitable business and they've got the track record to prove it, this kind of financing can be an incredible shot in the arm that makes their business grow bigger, stronger and healthier. But not everyone has the knowledge, experience, and financial prudence to use this kind of debt safely. For example, I would never use this type of short-term business credit to finance the first real estate deal I've ever done (when I have the least amount of experience and the highest likelihood of making huge mistakes). Instead, I would do my first few deals using my own money and THEN (once I'm confident in my ability to put profitable deals together) I would use this kind of money to start doing a higher volume and growing a business I know how to control. If a person has no practical experience in the way they're planning to use this financing, it may be appropriate to wait until they're confident in their ability to put this money to work. Remember, just because a person can get approved for financing, doesn't always mean they're ready to start using it wisely. Please be careful when using debt to finance real estate deals. If you're anything like I me, the whole idea of interest-free financing might sound a little “scammy” and too good to be true. I’m not going to lie, I was very skeptical of Fund and Grow at first. At the same time, I first heard about them from Seth, and he is VERY strict about who he stands behind. I wanted to get to the bottom of it, so I took it upon myself to scope them out and go through the entire process from start to finish to see if they could really deliver on what they promised. A few months later – I’m happy to report that they not only delivered, but they went above and beyond. This blog post is my official report of my experience of working with the company. Let’s talk about what my experience was like working with them. When I signed up, I filled out the prompts at the link above and then worked directly with the staff to set up a consultation meeting from there. Prior to the meeting, a Fund & Grow representative had pulled my credit and said it looked like something fishy had come up, related to a paid medical bill that was showing on my credit report as “Unpaid”. They suggested I bring my wife along to apply with me (I’ll speak on this more later, but they actually helped me identify some major issues on my credit report that shouldn’t be there – which I thought was very cool). I also had my wife fill out the prompts from that pre-qualifying link and for the rest of the process, they primarily used her information for the applications. During the consultation, we determined it was best for our situation to use a “mixed” application approach, which means we applied for both business and personal credit cards. My wife doesn’t have a business in her name, so they set her up with a sole-proprietorship for free so that they could apply for business credit cards on her behalf. After the consultation, they sent us a few emails requesting certain items to be uploaded and an application to be filled out via their online portal. The application asked some basic financial questions and then their system prompted us to upload the signed copy of the Power of Attorney so they could function as “us” legally, both with the applications and with the negotiations. Fund and Grow functioning as “You” is 100% ethical, just as long as you agree to give them power of attorney. They take handling the communication with the banks so seriously that they discouraged us from answering ANY calls or responding to ANY emails that came in from the banks. In one of the emails they sent me after the consultation, they attached several items that covered an overview of their plan for my wife and I and options on how to use our credit lines after the first round of applications was completed (more on that later). Included in these documents was a questionnaire that asked a lot of personal information, so that when the banks would try to verify “our” identity, Fund & Grow would know how to answer their security questions on our behalf. After all of that, the largest part of this process was to sit and wait while Fund and Grow applied for credit cards and negotiated the credit limits. From start to finish, it took a total of 55 days from when we first applied to when our first round of applications were complete (From 01/12/2019 to 03/07/2019). Any mail, email or voicemail that came from the banks while Fund & Grow “did their thing” was either scanned and emailed or sent to our Fund & Grow representative via text message. 5. 0% Interest Credit Cards Came in the Mail! During the wait, 0% promotional credit cards started to trickle in the mail and each time they did, I was instructed to update our Fund & Grow representative about the arrival of the welcome letter and which bank issued the card. I was told not to use the cards until the first round of applications was completed. The total balance available was $34,900. So in summary, with the help of Fund & Grow, I turned $3,497 into $34,900 at 0% interest in 55 days. And this is just round one! We still have three more this year… it’s pretty incredible! My trial run of Fund & Grow wouldn't be complete without actually buying real estate with this funding. So I purchased a total of four land deals on two credit cards, and I did it through Plastiq.com. Before I dive into Plastiq and why I ultimately chose them as my method of liquidation, I want to be very clear that they are not the only way to convert your credit cards into usable cash. Fund & Grow even provides a “Cash Acquisition Strategy Handbook” that gives 9 different examples of how you can do it. After an in-depth conversation with a friend who introduced me to the world of credit-card arbitrage, I found there are even more ways to liquidate your credit cards than what Fund & Grow suggests. This is where you buy several maxed out visa (or equivalent) gift cards and then cash them out. There are several retailers that will cash out visa gift cards (Simon Malls is one of the major ones). There is a “transaction fee” of sorts, because you have to pay out-of-pocket for the gift cards and then there are processing fees charged by the retailers who cash them out. The biggest problem with this approach is that it's tedious and time-consuming. Visa gift cards have a $500 limit, so you have to buy several of them at once (at least for real estate purchases) and then you have to physically go to a retailer to cash them out. A lot of retailers will also have a cap on how much cash they’re willing to give you each day (Simon Malls has the largest cap that I’m aware of at $25,000 per day). Many of the banks that issue these 0% promotional credit cards will also allow “convenience checks” to be issued against the credit limits of accounts in good standing, for a minimal processing fee (usually around 3% – 4%). These are great if you can get them because you can simply cash the checks in and put the funds in your account. They generally coincide with the 0% APR promotion of the card as well. The problem is that not all banks or credit cards will issue these with the same promotional benefits (if they issue them at all), so you need to call your bank to find out if they will provide these or not for your specific card. Additionally, 3% – 4% when buying real estate is pretty good, but there is one option that’s better. Plastiq is an online service that allows you to add a payee and pay them for almost anything (including real estate purchases). The major restriction is that you can’t pay yourself using Plastiq. However, as long as you can prove you’re paying someone else for services rendered… they’ll allow you to use your credit card for almost anything – including mortgage or rent payments, utility bills, business payroll and more. The best part? They only charge a 2.5% transaction fee. Ultimately, because of the convenience and affordability, it was a no brainer for me to go with Plastiq. I gave all three payout options to my sellers, and they all unanimously chose to have their money come in through a wire transfer. Now I will tell you, Plastiq is a little annoying to work with. They require significant proof that you’re not paying yourself or doing anything unethical. Because a lot of the credit cards I got from Fund & Grow are in my wife’s name, the underwriting department at Plastiq literally made me take a picture of her, holding her driver’s license next to her face, in order to prove her identity. For real estate transactions, they asked me to send them a copy of the purchase agreements and the deeds before they would release the funds. I don’t know if this was because I’m a new account or if it’s simply their standard practice, but when you have sellers expecting funds, having to wait for underwriting’s approval was a little nerve-racking! Ultimately, all four of the properties I purchased had the wire arrive within 24 hours or less, even with all the underwriting requirements. I plan on using Plastiq a lot in the future – but if you decide to use them, just expect that they will ask you for thorough documentation before releasing funds. As long as you are prepared for that and can prepare your seller for a real estate transaction, you should be good to go! Before we end this post, I wanted to take a moment to share with you some insights I found interesting that Fund and Grow didn't make “abundantly clear” to me on the front end. No matter how you slice it, debt is debt. Using credit cards to purchase anything, let alone REAL ESTATE, is a big risk. Both Seth and I want to make it crystal clear that if you struggle with financial responsibility when it comes to credit cards, you should not use Fund & Grow. The fastest way to financial ruin is to mismanage credit card debt. So please. PLEASE. Proceed with caution. If you don’t pay off the balances of these credit cards within their allotted promotional period (usually around 12 months), the APRs can jump to 24% overnight! Think of Fund and Grow as a short-term solution where you will need to either re-sell the property or refinance the loan quickly after you purchase. You should also be aware that, even though these cards are at 0% interest, they still require minimum monthly payments (usually around 1% of the outstanding balance), so you need to be financially prepared to cover those payments. That said, if you can be responsible and understand the risks you face, then using Fund & Grow is great for most transactional real estate investing: Flipping Houses, Wholesaling, Buying and Selling Land etc. It could even work with a rental property if you can get an equity line of credit large enough to pay off the credit card balance within 6 – 12 months of buying the property (but there is never a guarantee with this – so, again, please be cautious!). Just be careful and fully understand the risks you face if you decide to sign up with Fund & Grow. A lot of the advertising Fund & Grow puts out says they can get you these 0% interest credit cards, and they won't affect your personal credit report. While this is mostly true, it's important to note that the credit inquiries that are run during the application process do show up on your personal credit report. Now, a credit inquiry is NOT the same as the credit card balance. An inquiry simply shows evidence that a lender pulled your credit report (which implies that you've been trying to get financing elsewhere). What’s nice though, is that Fund & Grow has an in-house service that can help you remove these for an extra fee if they become a problem. If you don’t want to pay them for it, then they’ll happy coach you on how to do it yourself – in fact, it’s a necessary step they'll need to conduct during the next round of applications. For me, they even took it a step further and outlined all the major issues I needed to settle with the credit bureaus conveniently in an email. They also provided me with templates to use when communicating with them and if I didn't want to handle this on my own, they also have connections with a credit repair company that they’ve vetted and partnered with, who I could hire to do everything for me. They do disclose this in the consultation meeting, but it’s pretty easy to forget. The Newsletter subscription does come with some perks. With the 12-month membership, you get a 7 day/6 night accommodation anywhere within the U.S. and other countries abroad each year, no strings attached. BUT for me, I know I would never use this, so I had to make sure I didn’t forget to cancel it, and if this isn’t appealing to you, you’ll probably want to do the same. What Fund and Grow does is a huge convenience, but it's not something you couldn’t do yourself. It would be quite time-consuming and would require a lot of organization, but you can simply search online for “0% promotional credit cards” and then do a round of applications yourself, learn how to clean up your credit and then rinse and repeat. In fact, there is a whole world of travel enthusiast who do something very similar (and blog about it), but instead of focusing on 0% promotional cards, they focus on travel reward cards instead. For me, the biggest appeal of Fund & Grow is that it's convenient. I don’t have time for a new hobby to figure this out on my own, so I plan on using them for years to come. I really like Fund & Grow as a company. Their services is a great solution for a lot of real estate investors who are short on working capital and need access to short-term financing WITHOUT being forced into partnerships that cost them most of their profits or conventional loans with much more harder requirements and take significantly longer to get approved. In an effort to vet out Fund & Grow, I went through the process from start to finish, and the proof is in the pudding: I now own four properties I bought at 0% interest through their system. 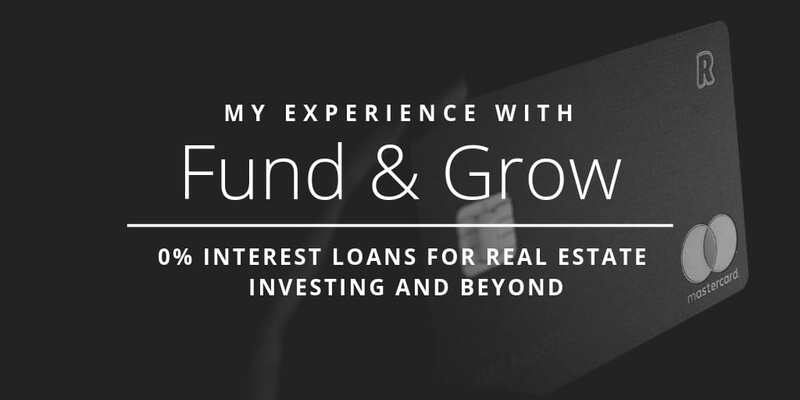 Based on my experience, Fund & Grow has my endorsement and I hope other real estate investors and entrepreneurs find this review helpful. Again: this are not the right fit for everyone. So proceed with caution. However, for the right person who knows how to manage this kind of financing, they’re an AWESOME solution. Have you had any experience with Fund & Grow? What was your experience like? Let us know in the comments below! Calling BS on this article. I am not going to believe that you got 35,000 dollars in March and purchased four properties with that in 30 days. This claim makes me question the validity of the whole article. Additionally, I have dealt with fund & grow and I feel they over-promise and under-deliver. There are a lot of ifs, ands, or buts attached to their deals and I found their support lacking. Perhaps they treat folks who are going to write good things and promote them differently. While I am not completely disappointed with my fund and grow experience, if I knew then what I know now, I would not have signed on with them. Thanks for the feedback Michael. Sorry your F&G experience wasn’t perfect, though it sounds like it wasn’t a total disappointment. As for the properties Jaren bought… I can’t speak for him, but I believe they were all vacant lots (and with vacant land, it’s actually very feasible to close on those very quickly, I usually close on mine in well under 30 days). I’ll let him chime in on the specifics of that though. The hard thing about doing reviews like this, is that I am truly limited to my own experience but I will tell you, I try to be as honest as I can be in that limitation. In terms of me getting $35,000 from Fund & Grow and the four properties I purchased – I actually ended up purchasing eight in total and you can see them if you join my buyer’s list over at https://www.ibuyland.org/go/land-for-sale/. If you really think I’m suspect I’m happy to send you copies of my excuted deeds (which will all have the dates I purchased them). Feel free to email me at Jaren@REtipster.com and I’ll hook you up. The last thing we want here at REtipster is for our audience to struggle with trusting us, so I’ll do all I can to earn that trust and provide as much proof as needed.